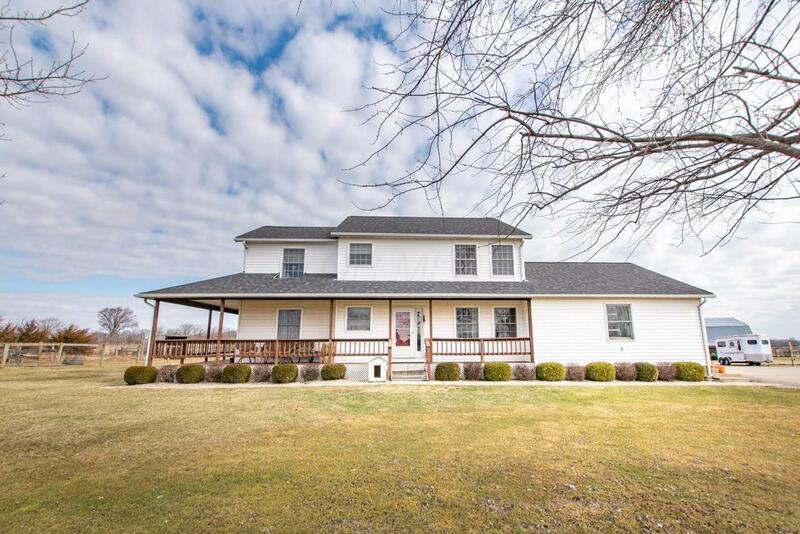 LOCATION..LOCATION..LOCATION, a horse farm situated halfway between Dayton and Columbus with easy access to Interstate 70. 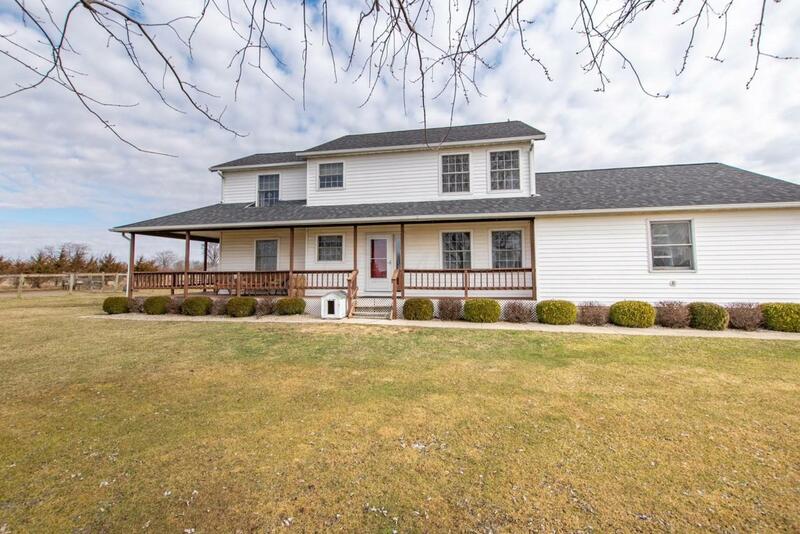 This 2 story has a wrap around porch on a full finished basement, it also has 5 bedrooms, and 3 and 1 half baths. The Koa, Brazilian floors are beautiful and there are gas logs in the living room. 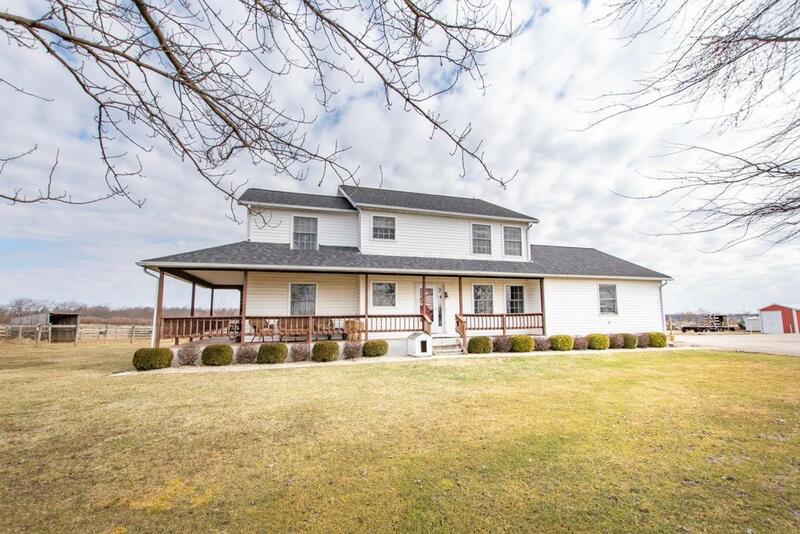 There is an extra large mud room.The 26.96 acres boasts several buildings and the largest of the barns 70x80 has several stalls, tack room and an indoor arena. The second largest barn 40x28 has a hayloft, more stalls, and two 40x12 lean tos. 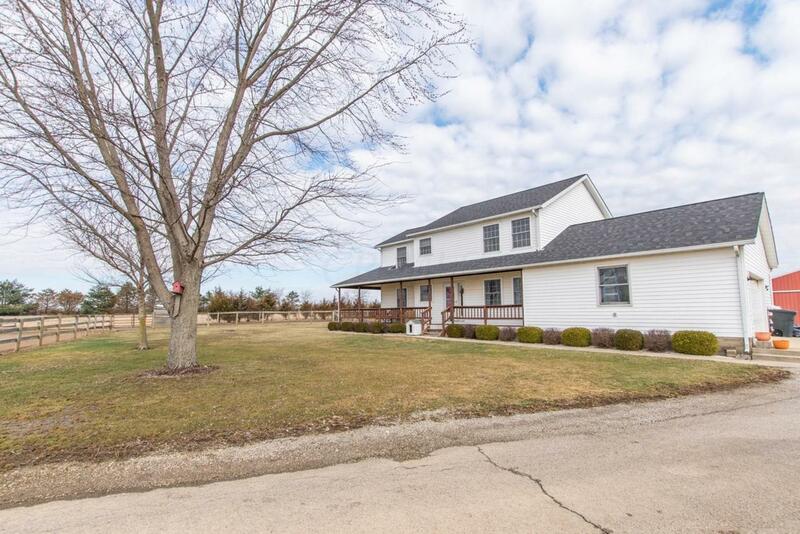 Both big barns have electric and water hydrants, there are 7 separate pastures each has a dry lot and a run-in shed with water supply. There is also a 100x130 outdoor arena on the property. 13.5 of the acres are in hay.